Although most people shopping Mercedes-Benz, Audi and Lexus luxury sedans wouldn't think twice about looking at a Hyundai, the 2016 Genesis sedan might just change their minds. 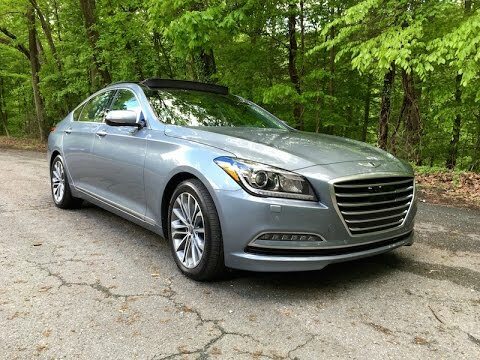 Elegantly styled and loaded with luxury features, the 2016 Hyundai Genesis luxury sedan looks fantastic, yet undercuts it rivals by thousands, even tens of thousands of dollars. The Hyundai Genesis 3.8 is significantly small. Anyone over 5 ft 7" won't be able to sit in the back seat. The tires wear out extremely fast, it slides during rainy days. The antenna flies off the car, causing you to order one. That means leaving your car in the shop. Any minor bumps will destroy the car. MINOR bumps. It burns gas quickly. It won't last too long. Fantastic car, well worth the price! Wonderful car. To replace a tire is about $200. , but the pressure stays in the tire long enough for you to get it fixed. Despite that the car drives beautifully. Even though gas is expensive, the Hyundai is rather fuel efficient. Also there is a lot of space, to make it rather comfortable to fit five people. My genesis is great and I look forward to getting a new one. I have not had any problems with my genesis. I like the way it drives and the safety features are great. My only thing I would like to see change is that eco remain on and I not have to push a button each time I enter the car. I like the personal settings and the odometer readings on the front windshields.